I tried this, too, & my zoo didn't come up as a choice I did buy a set of arrows tho. what do the arrows do? I haven't tried them yet. Shannon (123617625) wrote: what do the arrows do? I haven't tried them yet. You have to purchase them INSIDE YoDepot (not from the editing tab in your home) & they are 1 yocash for a pair of arrows. Then you edit a room and put one arrow there, and go to another room & leave the second arrow. Now both rooms/properties are connected with the new set of arrows. I don't know about the Zoo, but the option came up for me to attach an Avenue to the Park [the coin version of the Zoo]. Otherwise, like Julie said, the arrows will work for you. Just remember to only buy ONE set at a time. Otherwise, you'll lose your mind trying to figure out which one matches up with which other one. I have three of the yocash zoos, and none will attach to avenues from the zoo entrance. But if I go to the avenue and attach from there, the zoos appear as options. Erwyle (187240896) wrote: I have three of the yocash zoos, and none will attach to avenues from the zoo entrance. But if I go to the avenue and attach from there, the zoos appear as options. hmm! I didn't come up for me. So frustrating when the property doesn't show up, I hope it works for you soon! I think we all understand that it would take a lot of time and resources, however, improvements to things like this, our invos, store search engine and the AH would make our gaming experience so much better. And now they released a new avenue for the Zoo theme. I bought it, spent several minutes just trying to find where my Zoo was, and then I just gave up. Every single home or avenue is shown as "Home" with no logical order. BVG, please add a Search engine here, or at least make the houses show up chronologically in the order that we bought them. 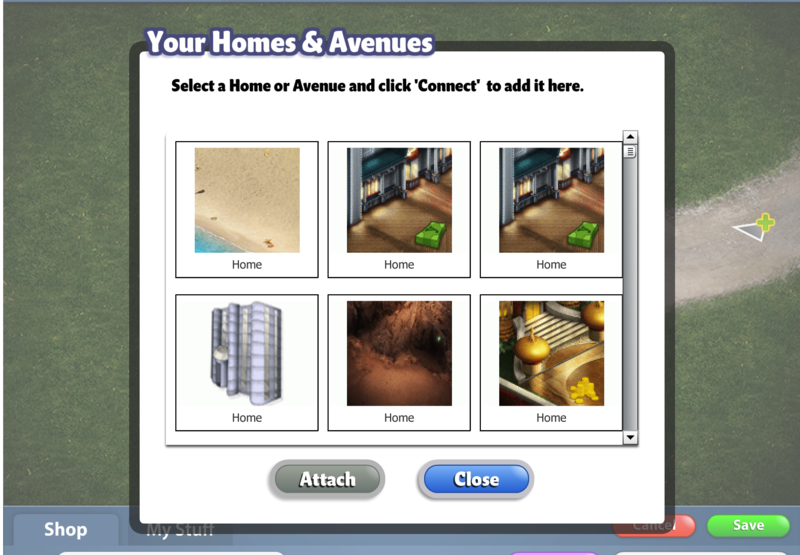 My Zoo did NOT appear in the pop-up for available properties to attach the avenue to. Just wasn't listed. The cash version of the zoo is designed as a circle so there is no way to attach an avenue. I'm so glad I read about using the arrows!! !